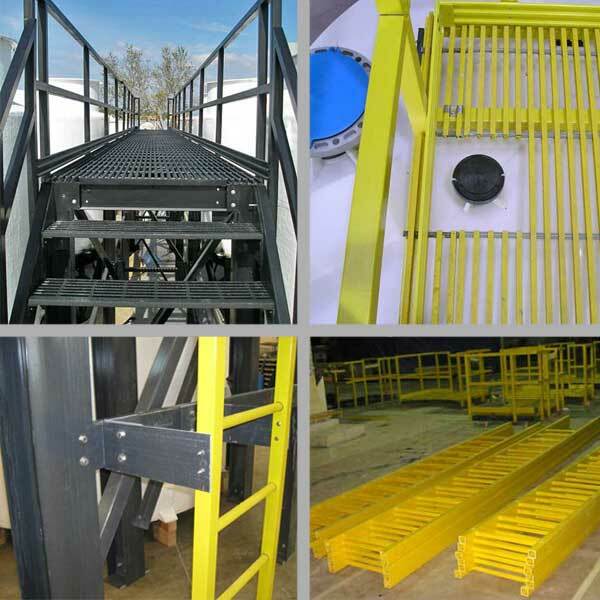 Fiberglass Ladder(s) meet or exceed OSHA requirements and are ideal for use in chemical plants and other corrosive environments. 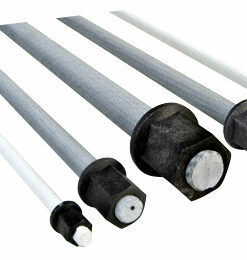 They’re lightweight, easy to install, outlast aluminum and steel, and require little maintenance. 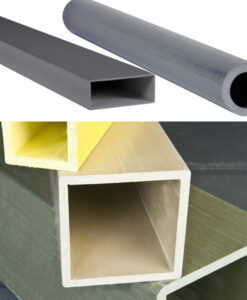 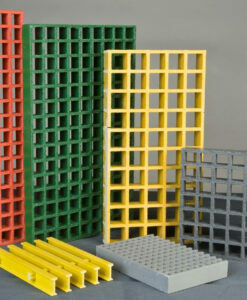 Features include nonslip rung surfaces, flame-retardant resins and UV inhibitors. 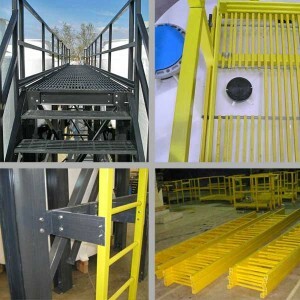 Side rails and cages are pigmented OSHA compliant safety yellow. 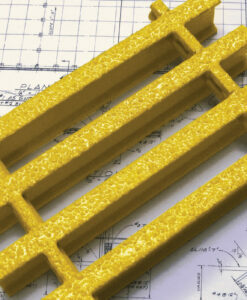 27-4746 Fiberglass Ladder Standard Walk-through 42"